This group has at least 6 * 6 * 26 = 936 possible modifications. And our software generates correct names for all of them. 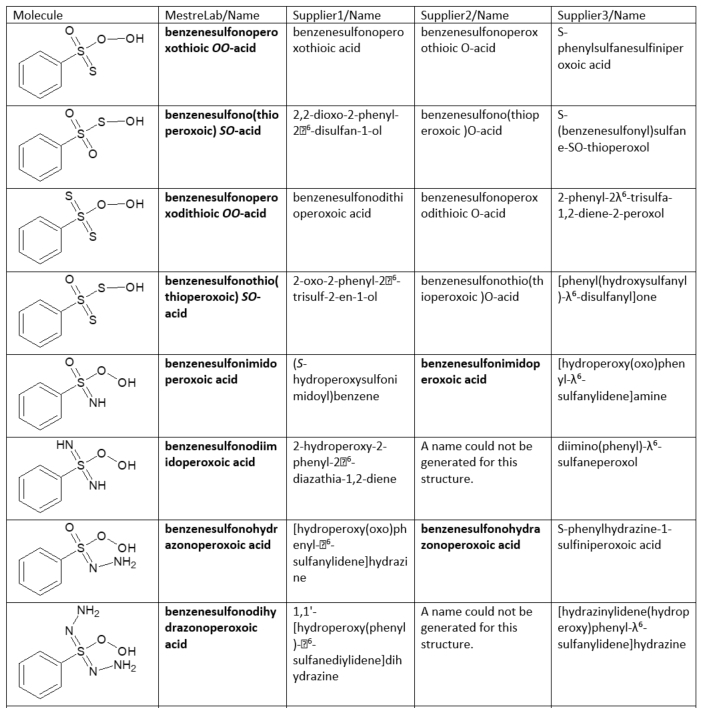 The table below contains names of several modifications of sulfonic acid generated by MestreLab/Name, and the other 3 applications. The correct IUPAC names are bolded. Their correctness is checked according to IUPAC Blue Book 2013 (Nomenclature of Organic Chemistry. IUPAC Recommendations and Preferred Names 2013), pages 438-439.